Takashi Miike has recently turned towards manga/anime adaptations, with, mostly, impressive results, as his aesthetics seem to fit perfectly to these mediums. This time, he adapts Yu Sasuga’s homonymous, shounen manga, which has sold more than 14 million copies since 2011. During the 21st century, scientists decided to make Mars a planet that could be inhabited in the future. The solution they came up with was to terraform its ground by spreading special algae with the help of cockroaches that would spread the substance all over the planet. Now, in 2577, they realize that the cockroaches have mutated into anthropomorphous, extremely strong and fast monsters. The government decides to send an exterminating team, which fails miserably (the script does not refer much to them). Due to this, they assign a half-crazy scientist named Ko Honda, to assemble a team that can carry the task, and to give them a chance of success, they provide them with a serum that transforms them into some of the most dangerous insects on earth, giving them their abilities. The fifteen members of the team, however, happen to be a peculiar mixture of misfits and criminals, and Honda seems to have a plan of his own. Takashi Miike retained the nonsensical, action-based aesthetics of the original, focusing on the action scenes and the depiction of the sci-fi environment on Mars. He could not do otherwise even if he wanted, since the characters are too many to focus and analyze anyone, and the script does not entail almost any depth. It is just men with insect abilities against swarms of humanoid cockroaches, at least for the most part. Despite the lack of actual acting, the cast is one of the film’s biggest assets, featuring the crème de la crème of the Japanese contemporary cinema. Rinko Kikuchi, Rila Fukushima, Shun Oguri, who, in the role of Honda is the only one who actually acts, although in slapstick fashion, Emi Takei, Takayuki Yamada, Hideaki Ito, Eiko Koike and many more comprise a truly impressive cast. The action scenes are quite stunning, benefiting the most from the special effects, despite some repetition. Furthermore, there are some moments of agony, as the ones with the tsunami of cockroaches, and those where the cockroaches attack en masse, which are quite impressive. The fact that some characters die very unexpectedly is a nice addition to the genre and actually adds to the nonsensical nature of the film, which also benefits the most from Miike’s preposterous sense of humor. The explanations of the abilities of each bug are also a nice feature. 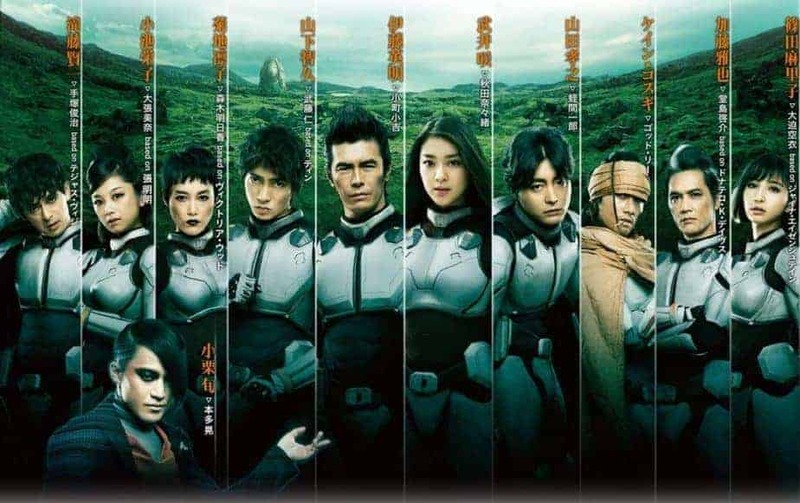 “Terra Formars” is a very impressive adaptation, evidently directed to fans of sci-fi action, with all the good and the bad the notion entails.